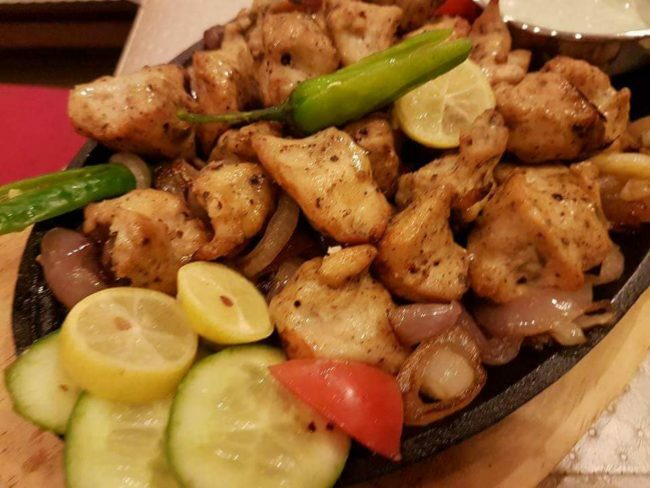 Chicken Malai Boti is one of scrumptious BBQ taste. There is no any special ingredient require for making this. I used chicken thigh pieces for juicy and sensation flavor. Follow the recipe and entertain your family with an excellent smack of Chicken Malai Boti. 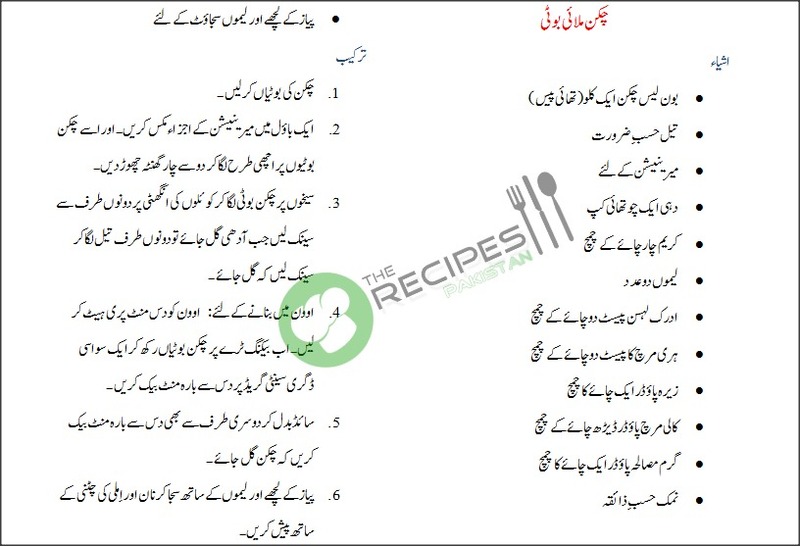 Get Malai Boti Recipe in Urdu and English. Mix together marination and coat the chicken with it. Leave to marinade for 2-4 hours. Put chicken pieces on skewers then barbeque over charcoal. Apply oil when half done and turn the side. For Baking: Preheat oven for 10 minutes. Arrange chicken on baking tray and bake at 180 Degree C for 10-12 minutes from one side then apply oil and turn the side and bake another 10-12 minutes from the other side till tender. Decorate with onion and lemon slices and serve with naan and Imli ki Chutney.